The Brown B2 "Miss Los Angeles" racer. Built in 1934 by Larry Brown for the World Air Races and flown by Roy Minor. 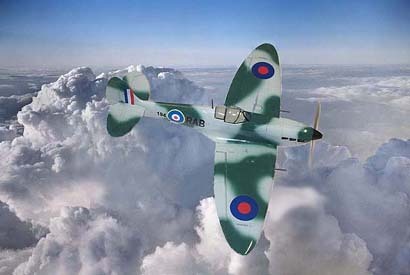 I think it is still as beautiful as any aircraft made today. This little aircraft weighed only 1300lbs. and was powered by a supercharged 544cu. in. Menasco Super Buccaneer 300hp., six cylinder in-line engine. Engine weight was 418lbs. Wingspan was 19’-3”. Built for speed, the controls were all hidden and moving flying surfaces were all counterbalanced. 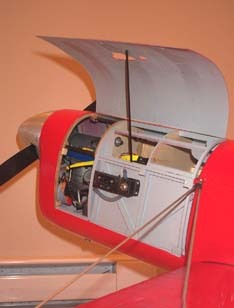 The cockpit cover fit tightly around the pilot and had a quick release mechanism in case of a bailout. 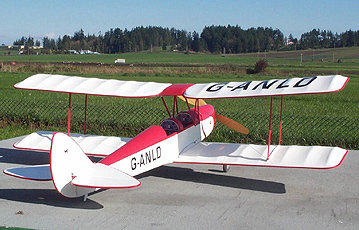 The aircraft was bought by Marion McKeen in 1935 and raced very successfully [with some modifications] up to 1939 when it crashed in a race killing the pilot and destroying the aircraft. The model is approx. 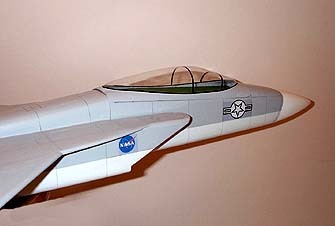 1/3 scale scratchbuilt from Walt Moucha plans. Power is Saito 150 on spark ignition. Covering is Solartex with two coats of red dope and dope clearcoat. Graphics are hand made and painted. Cockpit cover is attached with small #1 servo screws and is removable. 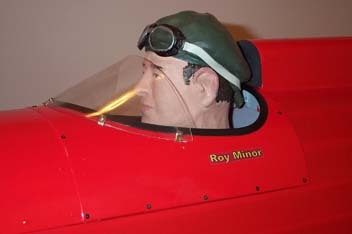 The fullsize aircraft had a quick-removable cockpit hatch to allow the pilot easy access. The cockpit was very small. I have always wanted a cowl that hinges to avoid removing the prop, spinner and cowl just to get at the engine. Well, here it is. 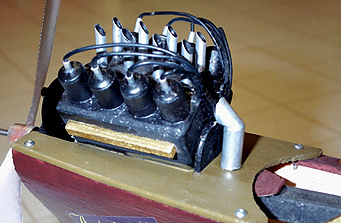 The left side hinges up, the right side hinges up or both sides can be removed together [the two sides are held together by the piano hinge]. The front cowl can also be removed as normal. The engine, fuel tank and ignition are all easily accessible. Instead of using decals I had the lettering machine cut out of mylar paint-mask material. 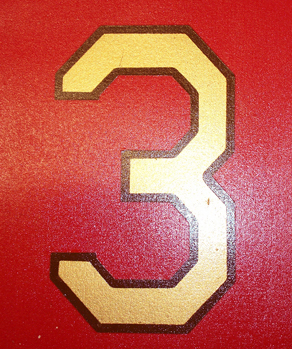 The brown outline and gold interior were cut separately and the lettering sprayed with brown and gold dope in two separate applications. A tedious process but the result is worth it. I mixed my own gold paint with metalflake powder in clear dope to eliminate the potential problem with incompatible paints. The homemade paint covers in one coat and is a very bright gold color. 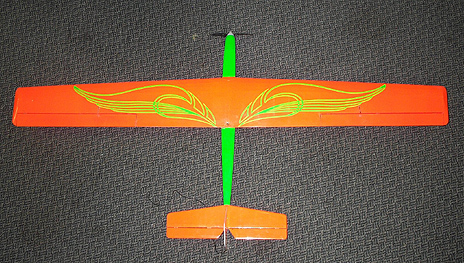 GREAT PLANES SPIRIT 100 Some modifications to the kit were made after reading about the flying characteristics of this glider. I moved the vertical fin back and broadened the rudder to give more tail surface. I split the elevator and moved the control horn inside the fuse. I rounded the wing leading edge at the outer panels to get away from those ugly angles. I fully sheeted the leading edges out to the tips. I covered the entire leading edge sheeting with 1/2 oz. glasscloth and built the wing in one piece instead of two. I strengthened the main spar with double shear webbing and put carbon fibre tape top and bottom of the spar. I added a secondary spar made of 1/4in. carbon tubing. 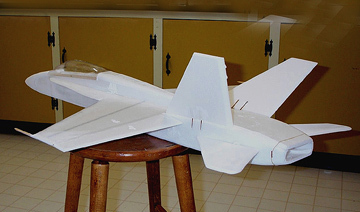 I used four HS81 servos in the wing for ailerons and flaps. 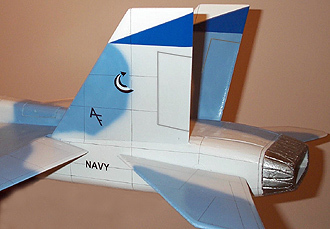 I covered the model with prepainted white Solartex and made up some scale-looking decals on my computer.....while the Spirit is not a scale model, I tried to make it look like one as much as possible. I think it is a very beautiful sailplane. 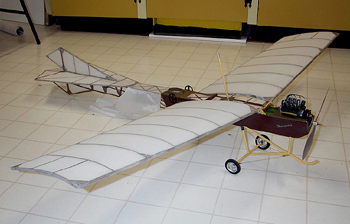 Wingspan is 100 inches, flying weight is 4.6 lbs. 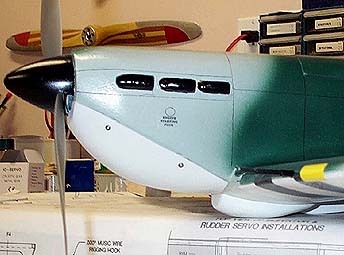 The above photo shows the rudder location as called for in the plans, it was later modified to end up as per the photo below. The sheeted and glass covered leading edges can be seen above. 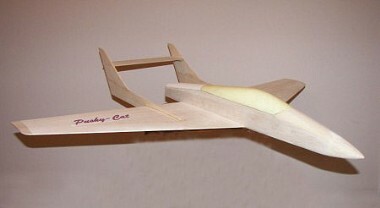 Here is a little SKIMMER 400 Electric glider from Hobby Lobby.....59"wingspan, Speed 400 motor running on 7 KAN nimh cells. It will climb at a 30 degree angle and is good for about five trips up on one charge. 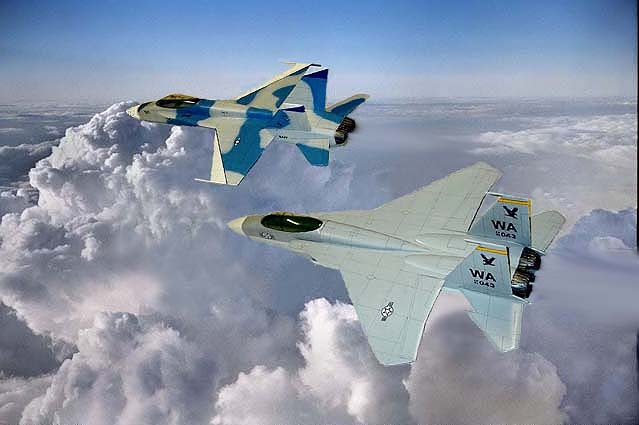 It runs on ailerons and elevator only and is quite aerobatic due to the flattened dihedral. Also glides well. Covering is Monokote. The wing pattern is machine-cut monokote. Ailerons are spring-loaded [down] and pulled [up] by a single servo and fishing line running through an aluminum tube to each aileron. The servo is center mounted. 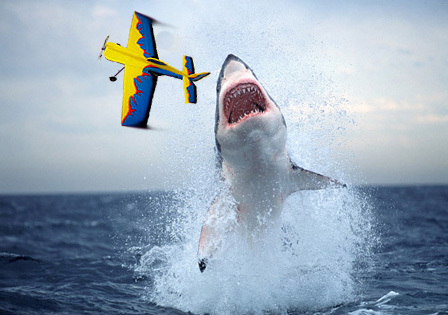 It is a BLAST and I can fly it almost anywhere. 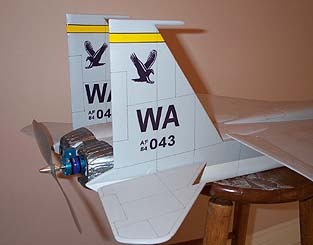 This model is from an all Depron plan by 3D Foamy.com in Washington State. 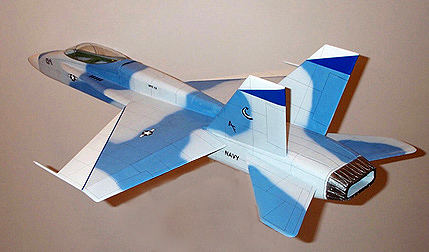 It is modeled after the US Navy attack unit "The Fighting Omars" Wingspan is 28.5" and the fuse is 41". AUW is 20 oz. 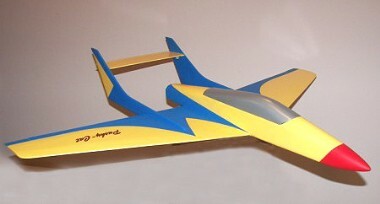 It is powered by a Himaxx 2812-0850 brushless on three-cell lithium batteries. Paint is latex sprayed. Panel lines are done with a .05 black art pen. 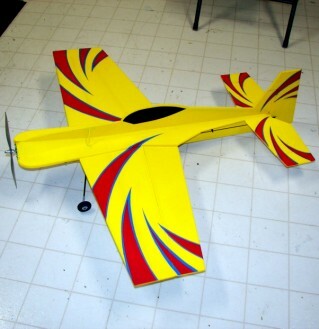 it flies very well.....straight, stable and can easily be handle by a beginner. 15 Eagle pusher parkjet.....Built basically the same as the above.....all Depron sheet foam. Built from a standard GWS foamie kit, this one has a little more detail than usual.....I glassclothed and filled over the foam and sprayed with latex. I added panel lines, machine guns and other fine detail. The drive is GWS 400 brushed motor and 2s-1p litheum battery. 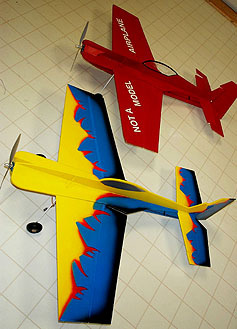 The roundells and decals are made on the computer and printed on waterslide decal paper. This GWS Tiger Moth kit got a little more attention than is usually seen.....I did a lot of filling and sanding on the foam surfaces and painted it with latex. The latex was clearcoated with water base urathane [very light]. 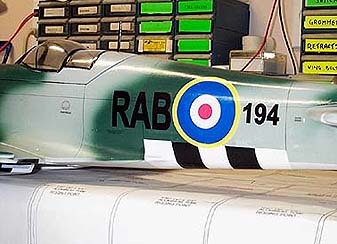 The wing struts were laminated with carbon fibre for strength. 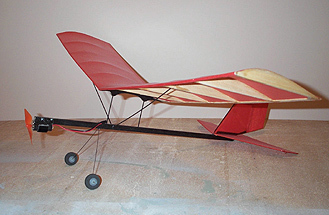 Flying wires were added to keep the wings straight and the landing ear was improved. The power is a twin GWS with gearbox running on two E-Tec 450mah litheum cells. Performnce is excellent with this combination, It will loop and roll from level flight and the duration is about 15min. 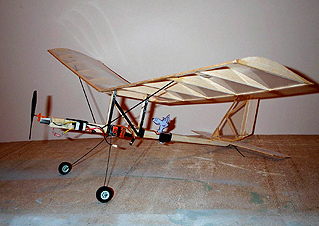 The magnifcent 1907 Levavasseur Antoinette Scratch built from Sig plans, this old kite will chug around on a speed 400 geared electric motor and a seven-cell nimh. pack. It is covered with Sig Coverite and dope finished. The V8 engine was made from shop scraps. Hangar rats !! Not at all what I call "modeling", these are micro indoor electrics. KP00 motor with 170mah. litheum cells and not much else !! Transparent wings are Saran-wrap. The red one is mostly carbon construction with tissue covering. Not model airplanes by the wildest stretch of the imagination but really fun to fly. These have been beefed up with lots of carbon but they still break easily. Sprayed acrylic paint using a cardboard mask and airbrush. Wheels too !